3D Texturing and Lighting. Reconstruction Outdoor Crime Scene. 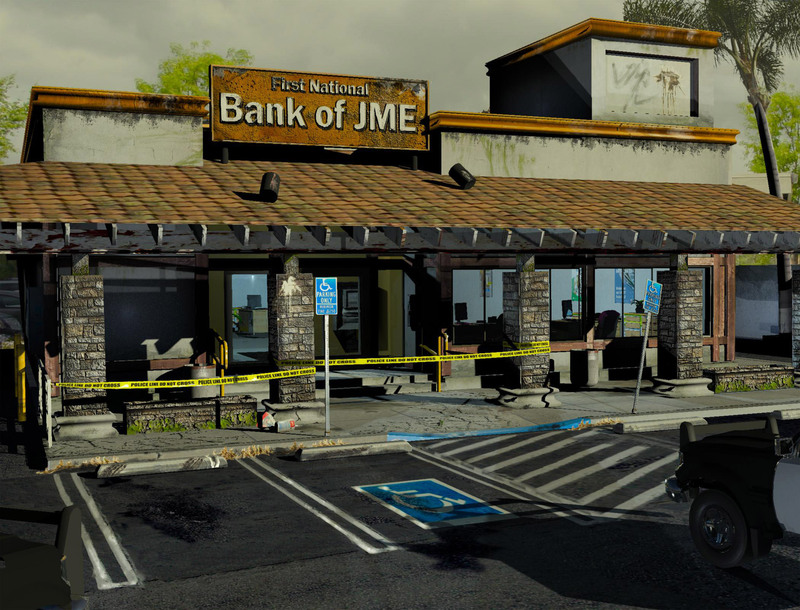 This outdoor scene is a continuation of my 3D Crime Scene, Bank Shooting Reconstruction posted on April 6, 2012. I custom created all models and lighting, with the exception of the cars supplied by SAC. The Mental Ray Daylight system is set to 4pm and there are 3 Standard Omni lights within the building. 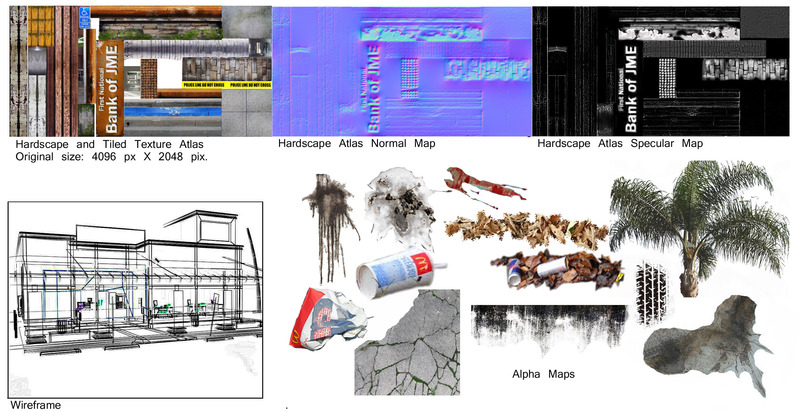 Texture, Specular, Normal, and Alpha maps were created using original photos I collected, Google images, and CGTextures.com. The purpose of this scene is to demonstrate the use of creative lighting, unwrapping objects and proper use of texture map atlases to produce a realistic and credible environment. For my friends that have no idea what that means…..no worries. Two years ago, I wouldn’t have either. It’s been an amazing process. Be sure and scroll down to see the night lit scene including red and blue lights emanating from the police vehicles. 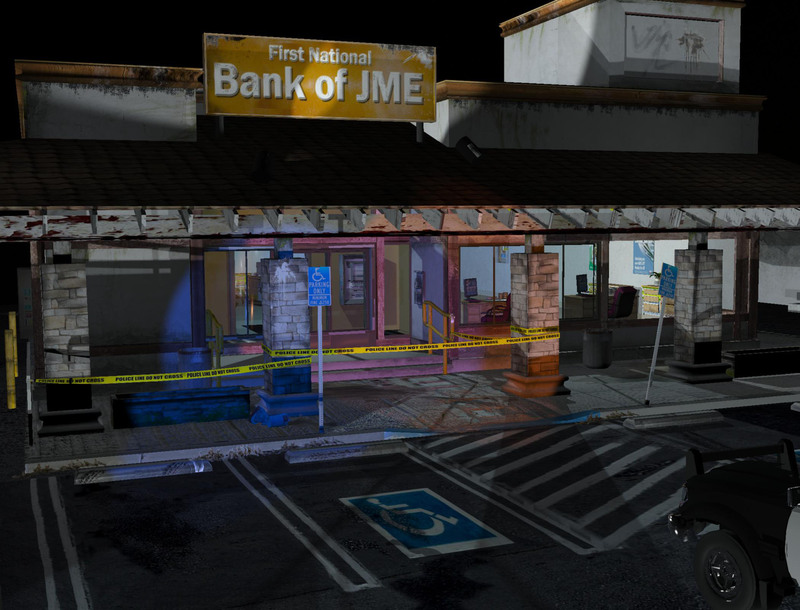 Previous Post3D Crime Scene, Bank Shooting Reconstruction. That is truly amazing. I am glad you said no worries to those who have no idea what your explanation meant, because that description whizzed right over my head. I would love to see what a jury thinks about this. Has to make it a lot easier to understand what happened. Hi there. Please explain what you’d use it for and who are you?